In the middle of March my family and I moved into our new home. The moving and renovations have been a lot of work and they take up the majority of our days but we’re still finding ways to take a moment to relax and enjoy the new setting for our future family memories. In the past two weeks we have had a few pizza nights, but we’ve managed to keep things fresh by personalizing Delissio’s latest Rustico pizzas with some fun pairings. 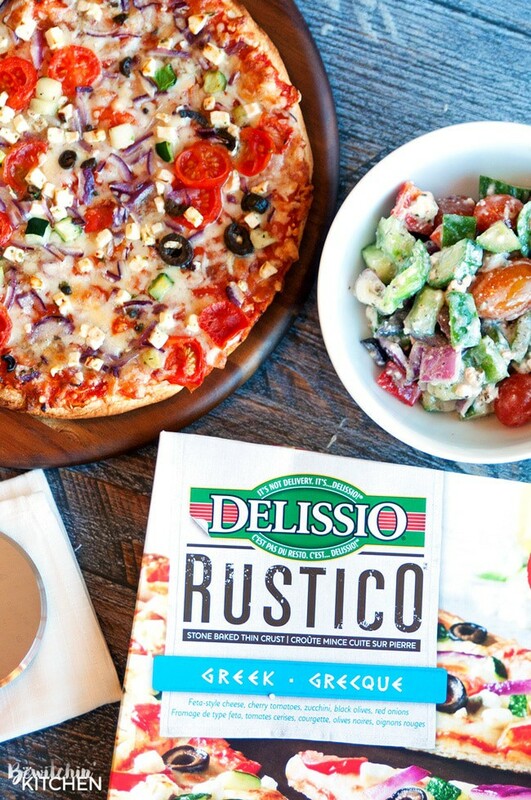 The Delissio Rustico Greek is one of the newest pizzas from the Delissio Rustico line. 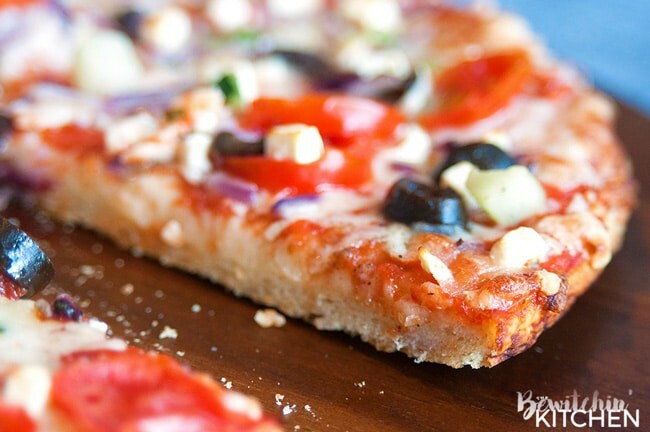 This stone baked thin crust pizza is topped with feta, cherry tomatoes, zucchini, black olives and red onions. 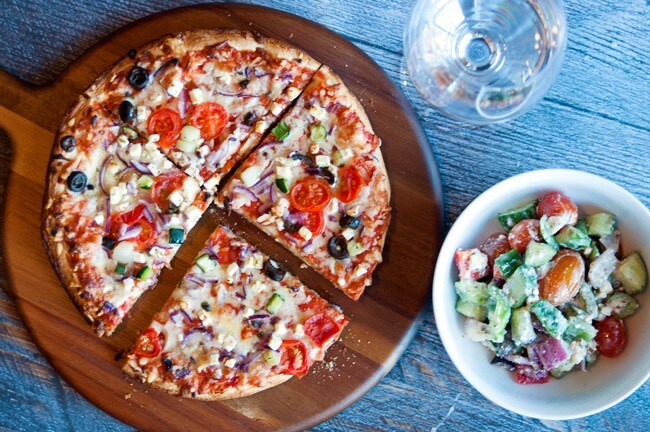 If you love greek food, this is the pizza for you. The toppings are delicious, but my favorite feature of all the pizzas from the Rustico line is the stone baked crust. The thin crust is the perfect balance between crispy and soft; it’s a premium product. 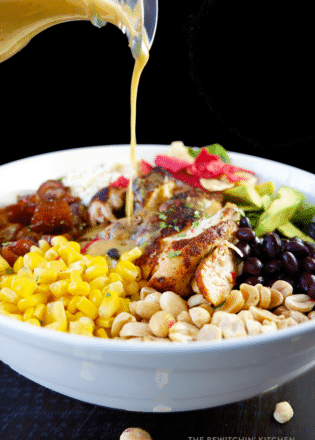 Greek Salad – this was the first pairing the came to mind. What’s a Greek feast without a Greek salad? If you’re not a fan of greek salad, try a regular salad with a delicious Greek dressing (like this Mediterranean Vinaigrette). 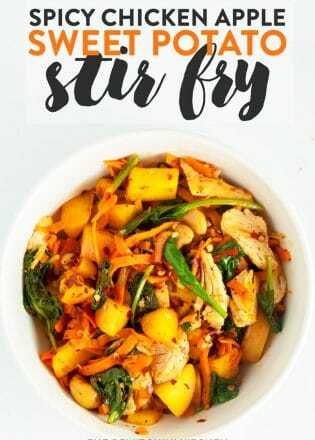 Shredded chicken – customize your pizza night and top your pie with shredded chicken. Dessert – after enjoying a slice or two of Delissio Rustico Greek, enjoy some baklava. The Quattro Formaggi is my favorite pizza from the new line from Delissio Rustico. This pizza is topped with four cheeses: mozzarella, emmental, parmesan and blue cheese. I wasn’t sure how I would feel about blue cheese on my pizza, but it’s what makes the pizza. It has the perfect zing, I purchased 4 more boxes earlier today. 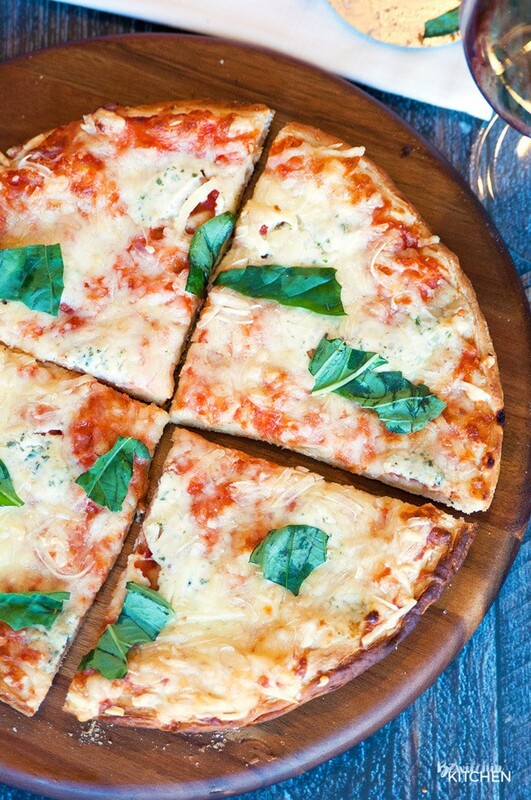 Basil – I customized my pizza night by adding fresh basil after it came out of the oven. 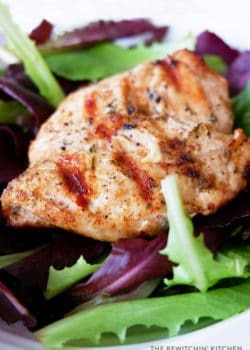 It’s amazing how a few leaves can really impact the flavor. I highly recommend trying this. Red wine – Putting my feet up after a long day of painting with my share of the pizza, a glass of red wine, and catching up with my favourite show was the icing on the cake. The day was over and this moment was my reward for all of my hard work. It was a pizza night just for me. 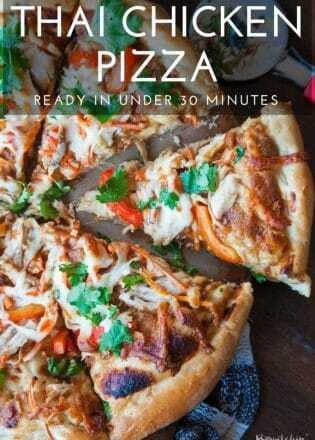 Red Pepper Flakes – For an added bite to the pizza, sprinkling a tsp of red pepper flakes would put this pizza over the edge. I’ll be trying that next time. I’m looking forward to my move to be complete. We have a few more renovations to finish and a couple of furniture items to be moved in. Once it’s all done, I’m looking forward to more me time where I can have a quiet and relaxing moment with myself, the television and a personal pizza. 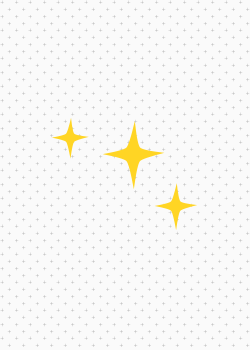 I already have a celebration personalized pizza night planned for Friday when I hand over the keys for my last place and can finally call this place my own. How would you personalize your pizza night? Share with me in the comments how you would customize your Delissio Rustico Pizzas. 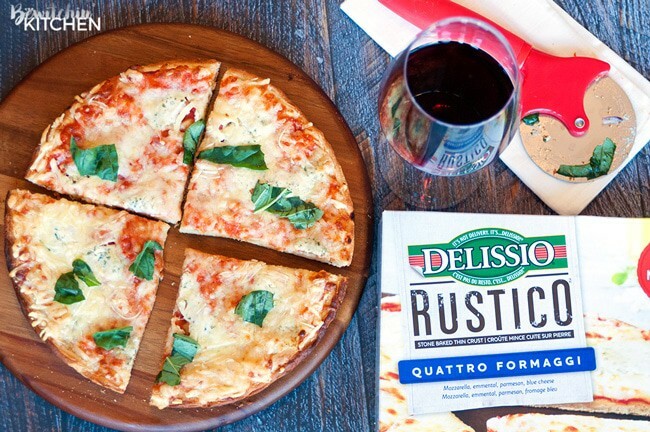 Try Delissio Rustico the next time you want to add a little stone baked thin crust goodness to your me-time. With authentic high-quality ingredients on a crisp sourdough crust, it’s the perfect pizza for #PizzaNight, and they just introduced two new flavours, Greek and Quattro Formaggi. Disclosure: This post was brought to you by Delisso via Mode Media Canada. The opinions expressed herein are those of the author and are not indicative of the opinions or positions of Delissio. Hi Joy! Adding personal touches definitely puts a new twist to pizza night. Even a few basil leaves made a huge difference!